Just a couple of days to go until the opening of Woodstock Poetry Festival 2016 on Friday 11th November! Oxford Stanza Two will be reading at Woodstock Town Hall at 1pm on Saturday : our chance to get the day off to a great start with our new show The Space Between. From 10am to 3.30pm, this Sunday 8th May at Kirtlington Village Hall: join Dorothy Yamamoto and Sarah J Bryson for Maps & Keys, a relaxed poetry workshop day full of writing exercises and writing time, sharing and discussion in a supportive group. Kirtlington Village Hall is surrounded by playing fields and a country estate and there is plenty of parking. Tea, coffee and biscuits provided. Please bring a contribution for a sharing lunch. For enquiries & bookings, please contact Dorothy on dorothy.mccarthy@btopenworld.com or on 01865 247661. £20 per person on the day. David Attwooll at Paris Lit Up Launch! David Attwooll is reading with others at the Paris Lit Up Launch, at 7.30pm tomorrow, Thursday 24th March, at the Albion Beatnik. Free event. 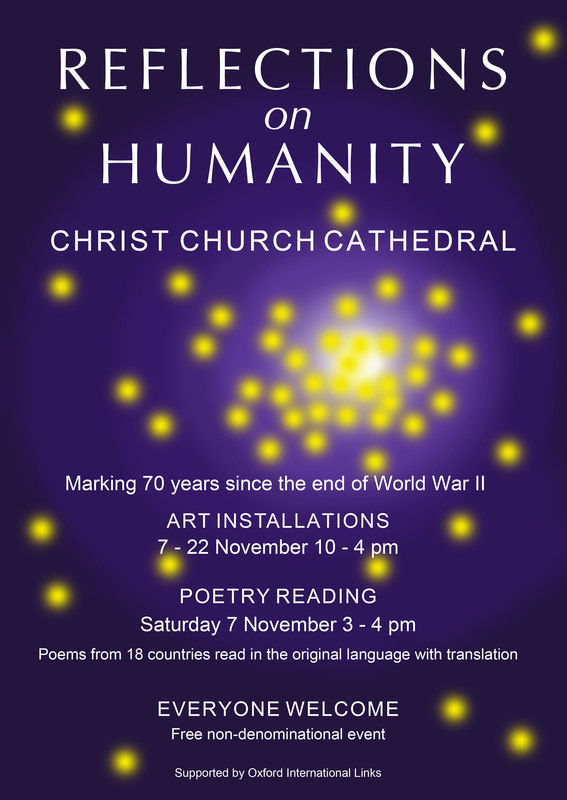 To mark the 70th anniversary of the end of the Second World War, art installations and poetry at Christ Church Cathedral at 3pm this Saturday 7th November. In a free, non-denominational event organised by Oxford artist Diana Bell and members of Oxford Stanza Two, readers from all over the world, including representatives of Bonn, Grenoble, Leiden and Perm, will read 25 poems in 18 different languages, in three sections: Conflict, Humanity and Reflection, moving from the darkness of conflict and war towards the light of reconciliation in shared humanity. Hanne Busck-Nielsen will be reading the Danish poem in this programme. 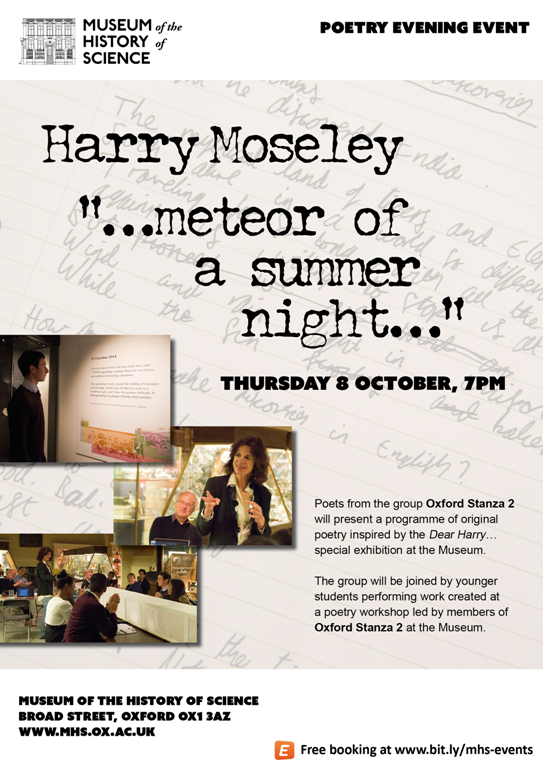 You can follow this event here Doors open at 6.30pm – see you there!